I was up at 6:30 this morning for no particular reason so I saw the pink sky and the day come on. My 1st movie, Baby Arabia was not until 11:30 AM. Today has turned into a nice sunny fall day. I walked through China Town to the VIFF on Granville Street. Colours of China town could have foreshadowed the bright dense colours of the clothing of the women and children in Baby Arabia, a band that has been playing Central Thailand's Muslin Community for over 30 years. All of their last names are Baby, sounds familiar to this Ramones fan. 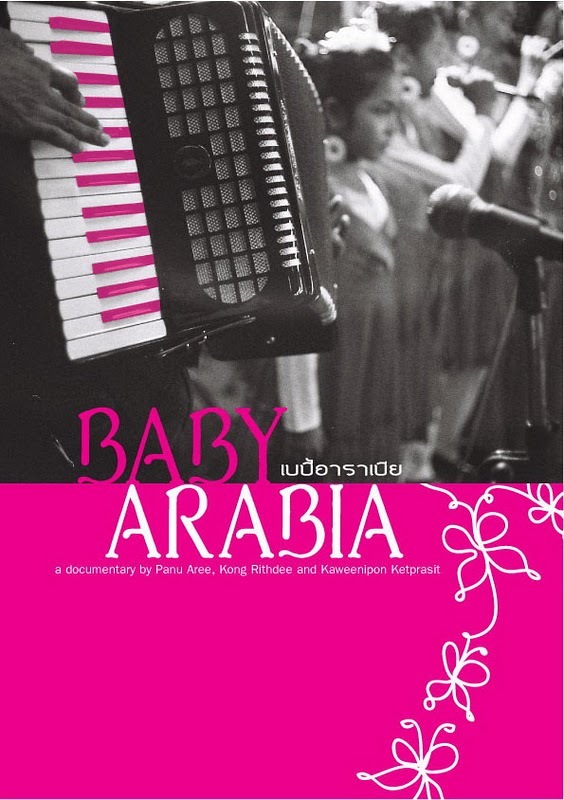 Baby Arabia, the band is a top 40 band, and covers classical Arab and Malay music. Their sets are from 2 to 6 hours, the movie was 80 minutes. The members are Thai and do not speak the language of the songs but they try to get the emotions, one of their signers, Jameelah Boonmalerd, explained in the movie. The film takes us into the small boats and larger ferries with Baby Arabia as the go to weddings, fairs, and events where this tribe of musicians play. Baby Arabia's music is often in minor keys, as those keys inspire sadness & melancholy and I would add mystery. We travel with this band and near the end we are with them at a funeral that turns out to be Imron Baby, a member of Baby Arabia who passed away during the filming of this documentary. This movie will be sold by the band on DVD and shown at festivals. You can see the trailers online at these links. I am not sure that I want to run away with this tribe, Baby Arabia, but I will add some photos of the clothing.